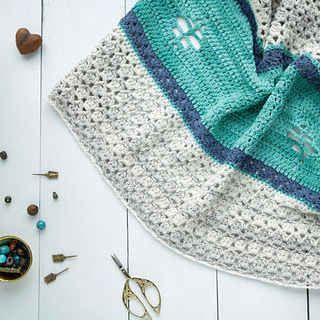 Whip up this pretty watercolour-effect shawl in the softest cotton acrylic blend. By Esther de Beer (Happy in Red). 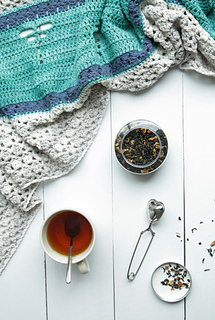 The painterly effect of this lovely shawl is easy to achieve with the gentle washes of colour in these yarns. Which leaves you free to enjoy the rhythm as you hook and watch the colours blend into one another until your masterpiece is complete. This pattern was first published in Simply Crochet no60, in UK terms. 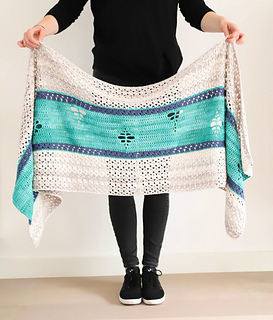 Via Ravelry the pattern for The Merhaba Shawl is also available in Engish (US terms) and in Dutch.